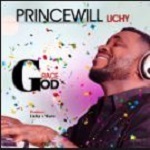 Princewill Lichy blesses the world with Free! Free is the newest release from Princewill Lichy, and it very much shows! His years of experience in the music industry all culminate in this relaxing and wistful homage to the desire we all have inside ourselves to be free, like a bird. Listen to him sing his heart out in this music video! See the joyous smile on his face as he pushes his voice out majestically for all to hear. He is truly a man who adores his craft, and practices music in order to express his love for life and his beliefs which keep him going.